These days, it seems like kids have an unlimited amount of energy. If you have children of your own, you’re probably always on the lookout for new and exciting activities to bring your little one to. An indoor playground can be a wonderful environment for young children, especially as they begin to develop their social skills. 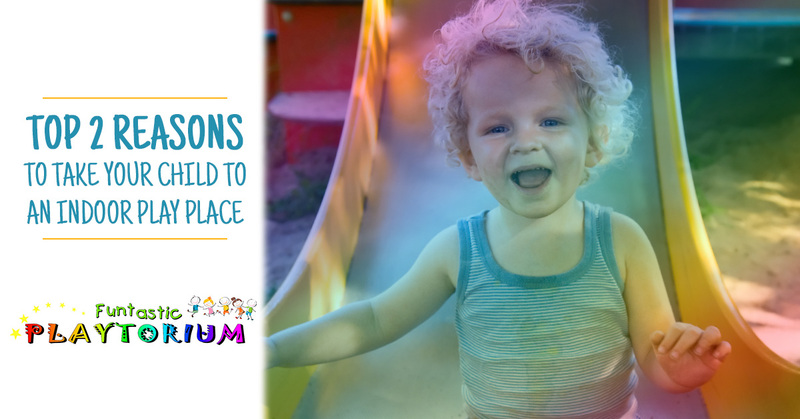 In this blog, we’ll look at the top two reasons to take your child to an indoor play place. If you live in Washington and you’re looking for a safe and affordable indoor playground to bring your child to, stop by Funtastic Playtorium. We offer two convenient locations in Bellevue and Lynnwood, along with party packages if you’re interested in using our space for a birthday party or private party. Indoor playgrounds are a great alternative to outdoor playgrounds because of the safe and secure environment they provide. Most indoor play places feature extremely safe playground equipment like inflatable slides, obstacle courses, and attractive toy setups that keep children occupied. Moreso, parents don’t have to worry about their kids being exposed to strangers in an indoor playground since everyone has signed up for the same thing. When your child gets to play in an indoor playground, they’ll be able to use their imagination to jump, skip, swing, and slide from one play area to the other. Not only will this help them gain confidence in their physical skills, they’ll learn how to properly play and socialize with other children around their age. Funtastic Playtorium offers a fun and exciting indoor playground for children in Bellevue and Lynnwood where kids can be kids. We designed our indoor space to provide children with free and rampant play while keeping them safe and secure. Contact us today to learn more!